FODMAPs are a group of carbohydrates found in common foods identified as contributing to symptoms of irritable bowel syndrome (IBS). Researchers have found that when people with IBS follow a diet low in FODMAPs, many experience significant symptom relief. What Makes a Carbohydrate a FODMAP? FODMAPs are substances that are poorly absorbed by the small intestine. This means they become available to be acted upon by bacteria that are within the large intestine. To varying degrees, FODMAPs have the quality of being fermentable, which, in this context, means that they can interact with gut bacteria and release gas. In addition, and also to varying degrees, FODMAPs can be osmotic, meaning that they increase the volume of water in stool. It is thought that this increase in either gas or liquid, or both, contributes to IBS symptoms like pain, gas and bloating, and constipation and diarrhea. The researchers from Monash University designed the low-FODMAP diet as a treatment for IBS. The diet requires the avoidance of any high-FODMAP foods for an elimination phase lasting anywhere between two to eight weeks. At the end of this elimination phase, slowly introduce each FODMAP type back into the diet—one by one—to accurately pinpoint which FODMAPs are problematic. The reintroduction process is extremely important. Not every FODMAP type is a problem for every person who has IBS. In addition, following the full elimination diet for a period of time is thought to improve tolerance for previously questionable FODMAPs. Reintroduction also more accurately identifies which FODMAPs are tolerable and which provoke IBS symptoms. People, however, are encouraged to eat as varied a diet as possible while still respecting individual FODMAP triggers. Who Is the Low-FODMAP Diet for? The low-FODMAP diet is for anyone who has IBS and who is motivated to utilize a diet-based approach. This includes adults of all ages, children, and people who follow a vegan or vegetarian diet. There is also some preliminary research to suggest that this diet might be helpful for individuals who have celiac disease or inflammatory bowel disease (IBD) and who continue to experience unwanted digestive symptoms even when the primary condition is well-addressed medically. Although this diet can be quite effective, it also can be quite challenging. 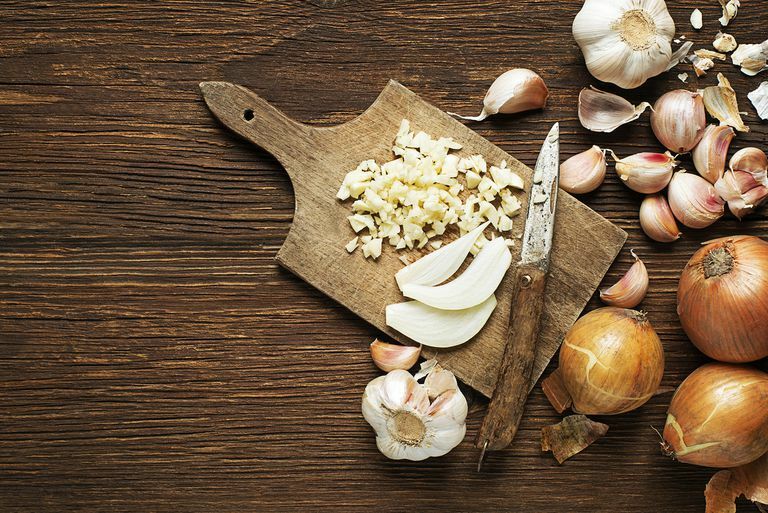 Many common foods contain high-FODMAP ingredients, such as wheat, high fructose corn syrup, onions, and garlic. For best results, follow this diet under the supervision of a qualified dietary professional. The Monash University Low FODMAP Diet app is essential and available for both iPhones and Android devices. This app contains the most up-to-date information on the FODMAP content of various foods. With a simple glance, you can know if a food is high or low in FODMAPs. In the elimination phase of this diet, you may find yourself doing a lot of home cooking. Most packaged or processed foods tend to contain high-FODMAP ingredients. Preparing your own food ensures that you have total control over the ingredients of the foods that you will be eating. Research has found that a low-FODMAP diet can be very effective when followed under the supervision of a dietitian. In clinical studies, approximately three-quarters of people who have IBS experienced significant symptom relief when following this diet. This diet is not intended for long-term use. Many high-FODMAP foods are actually very good for overall health. A lot of them are considered prebiotics, meaning that they enhance a healthy balance of gut bacteria. Thus, the reintroduction phase and continued re-testing of foods is extremely important to ensure you are eating a varied diet without re-experiencing symptoms. The low-FODMAP diet is the first dietary treatment approach for IBS that has research to support its effectiveness. For many people who have IBS, the diet has been a game-changer. But the diet is tricky. The more support and resources you have while following the diet, the better your odds will be in terms of achieving symptom relief. As with any approach to treating symptoms, it is best to discuss your plan with your doctor before trying the diet. Because they have a familiarity with your medical history and current health, doctors are in the best position to advise you as to whether or not the diet is right for you. Gibson P R, Shepherd, SJ. "Evidence-based dietary management of functional gastrointestinal symptoms: The FODMAP approach" Journal of Gastroenterology and Hepatology 2010;25(2):252–258. Nanayakkara WS, Skidmore PM, O’Brien L, Wilkinson TJ, Gearry RB. "Efficacy of the low FODMAP diet for treating irritable bowel syndrome: the evidence to date." Clinical and Experimental Gastroenterology 2016;9:131-142.